With the countdown to entry into force on, it is more important than ever that vessel owners and operators begin to plan for ballast water management compliance. With a myriad of legislation, requirements and seemingly ever-changing obligations, the benefits of planning early are clear. 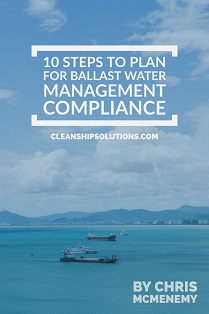 Built on our 7 years experience helping over 40 owners and operators achieve compliance, we have developed a 10 step guide to planning for ballast water management compliance. By following this guide, owners and operators can avoid some of the common pitfalls we typically observe during the compliance planning stage, and ensure that ballast water management compliance is achieved as seamlessly as possible. Before undertaking any planning activities on specific vessels, it is prudent to compile a detailed fleet compliance review for all vessels in the fleet. With different legislation having differing compliance dates, it is important to build an overview of the entire fleet, identifying the most pertinent vessels and shaping the fleet compliance timetable accordingly. This step also provides vessel owners and operators with an opportunity to review the fleet profile from a scrapping / replacement perspective – identifying older vessels that owners may not be economically viable candidates for investing in retrofitting ballast water treatment systems. Once the fleet timeline is understood, the following steps should be undertaken for each vessel in the fleet individually. A thorough review of the existing ballast system onboard, and the procedures currently followed by the vessel crew for all ballasting / de-ballasting operations is essential in planning for ballast water management compliance. It is crucially important to identify any potential physical alterations required to ensure compliance can be achieved, as well as any modifications to existing operational practices. Prior to undertaking any further planning on the retrofit installation of a ballast water treatment system (if required and/or planned for), it is important to begin planning for compliance with the D-1 standard. As outlined in our recent article: “Implementing Ballast Water Management Plans”, the D-1 standard will apply to all vessels from entry into force. Owners and operators should begin developing vessel specific ballast water management plans based on conducting ballast water exchange, and submit these to Class / Flag with sufficient time prior to entry into force. Once approved, these plans should be implemented onboard, with all crew thereafter conducting ballast water operations in accordance with the ballast water management plan. Once the existing ballast system philosophy and operation is understood, and assuming the installation of a ballast water treatment system is the intended method of compliance, it is important to then undertake a feasibility study of the various ballast water treatment technologies and systems available. No single technology, never mind specific system, is suitable for all vessels, and blindly selecting and installing a ballast water treatment system without determining its feasibility can result in non-suitable technologies or systems onboard, which may potentially lead to non-compliance. Feasibility studies should aim to analyse all of these aspects, comparing the various ballast water treatment system options, and conclude on, at least, the most suitable technology, if not the most suitable system(s). Assuming the feasibility study stage resulted in conclusion of the most suitable system(s) for the subject vessel, the next stage in the planning process is to engage the manufacturers and begin negotiating on price and delivery timescales. 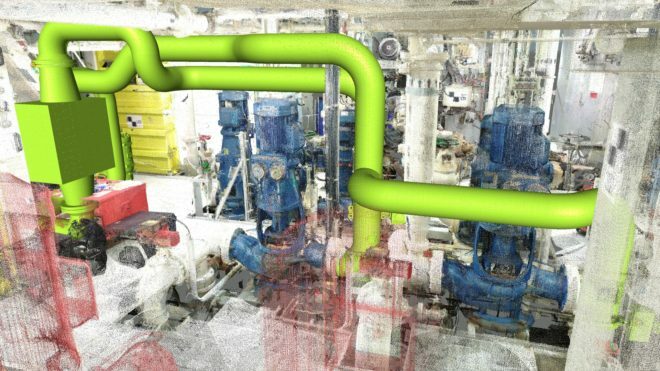 The planning of the retrofit installation phase is outlined in step 5 below; however, delivery timescales of the ballast water treatment system will have a big impact on this planning process, and must be fed directly in to the project management team. At this stage it is important to engage manufacturers will sufficient notice, ahead of intended retrofit installation dates. Delivery times (ex-works) of up to six months are fairly common with ballast water treatment systems, hence it is crucial to undertake this step as soon as practical. Regardless of the installation approach, a project manager (or project management team on larger projects) will be required to ensure the project runs smoothly. The project manager will handle all aspects of the retrofit design, class approval of same, procurement (beyond the treatment system itself there will be a significant procurement exercise required including fabrications, instrumentation, material, control integrations etc), delivery of all items to site and final installation. The commissioning is no easy task either, and the project manager will be required to coordinate the various parties involved – including the vessel crew, the ballast water treatment system manufacturer, control system manufacturer and Class Inspectors. Port state control – special inspection campaign in China ? ?